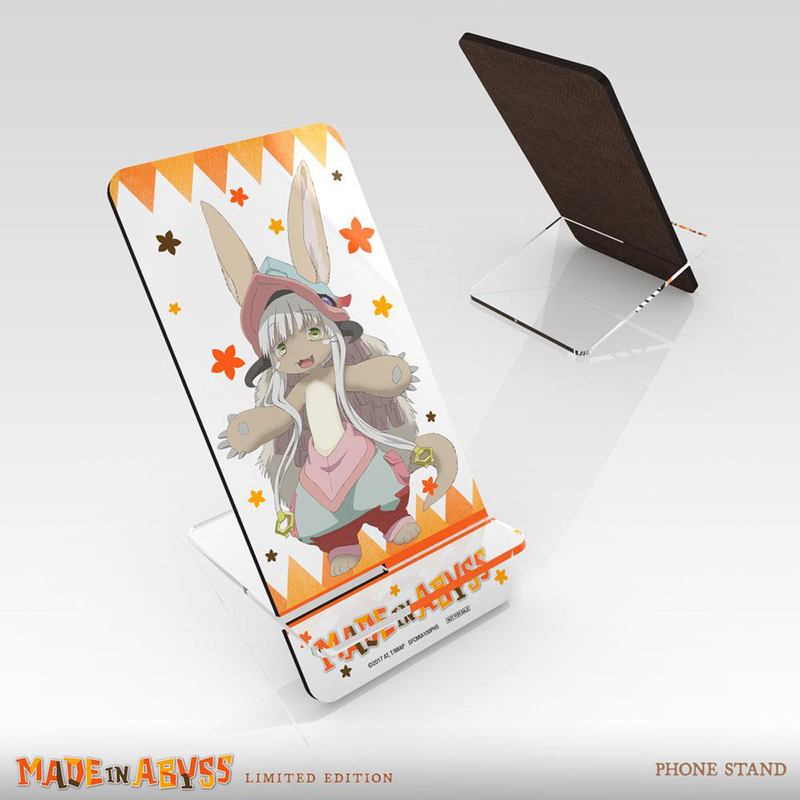 Made In Abyss contains episodes 1-13 of the anime directed by Masayuki Kojima and is housed in a Chipboard Box which contains a Soft Cover Booklet, Acrylic Nanachi Phone Stand, 11x17 Tapestry Map, and Lanyard with White Whistle Charm. I don't plan on returning mine, but I don't think the extras you get in the bundle are even close to worth the increase in price. And that's after the already drastic price drop from $199 to $129. Nothing is outright shoddy or low quality, but it doesn't have a premium feel that you might expect for a $75 price jump from the base SKU. 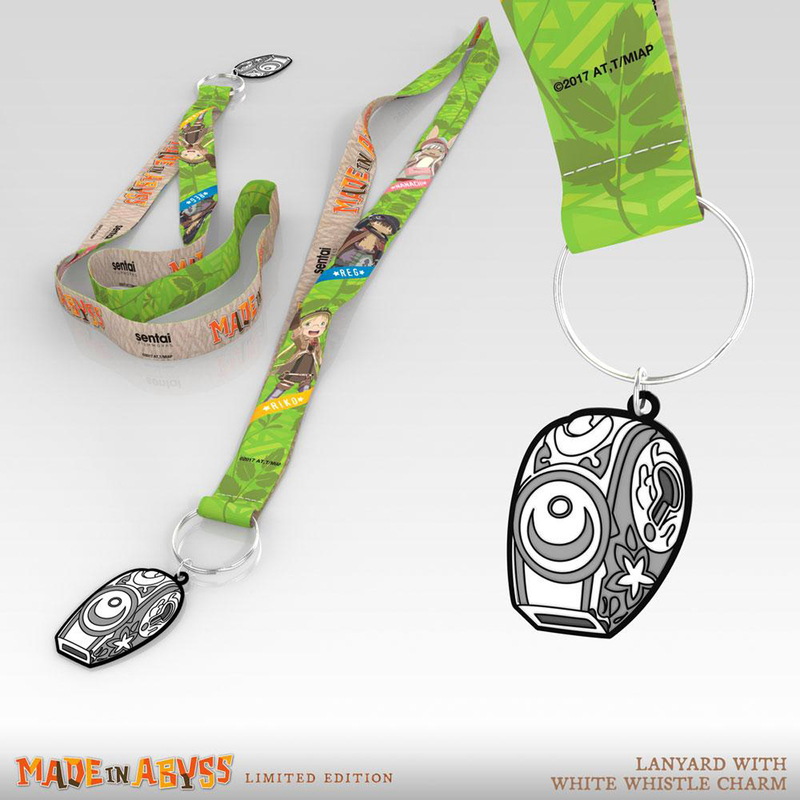 The lanyard feels like something they might give away at a convention to booth visitors. The map is low resolution. 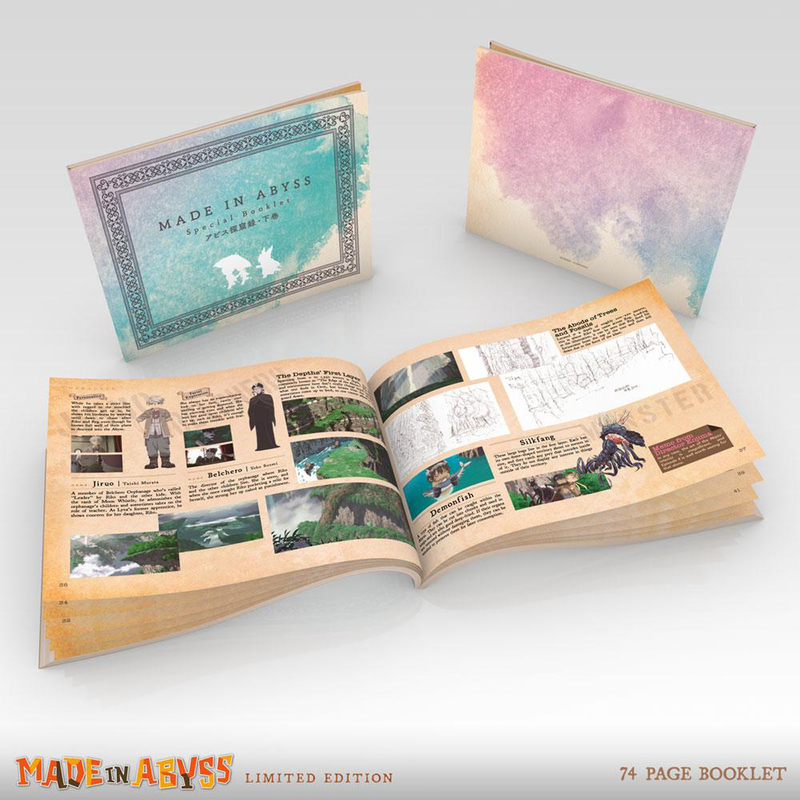 The book is probably the best addition, but I was hoping for more concept art; after a quick flip-through it seems like mostly stills from the show with translated interviews (which I am looking forward to reading). Wonderful, but slightly pricey box set. The premium box set is a gorgeous piece of artwork. The box is closed by a couple of snap buttons on ribbons. This touch was unexpected and quite beautiful. The inside of the box is illustrated with wonderful artwork from the show. The show itself is a masterpiece, although it's incomplete. (Luckily, they did announce a season 2.) The characters are relateable and heartwarming. The struggles that the characters go through are heartwrenching and emotional. Give this show a watch. Overall, I recommend this box set. 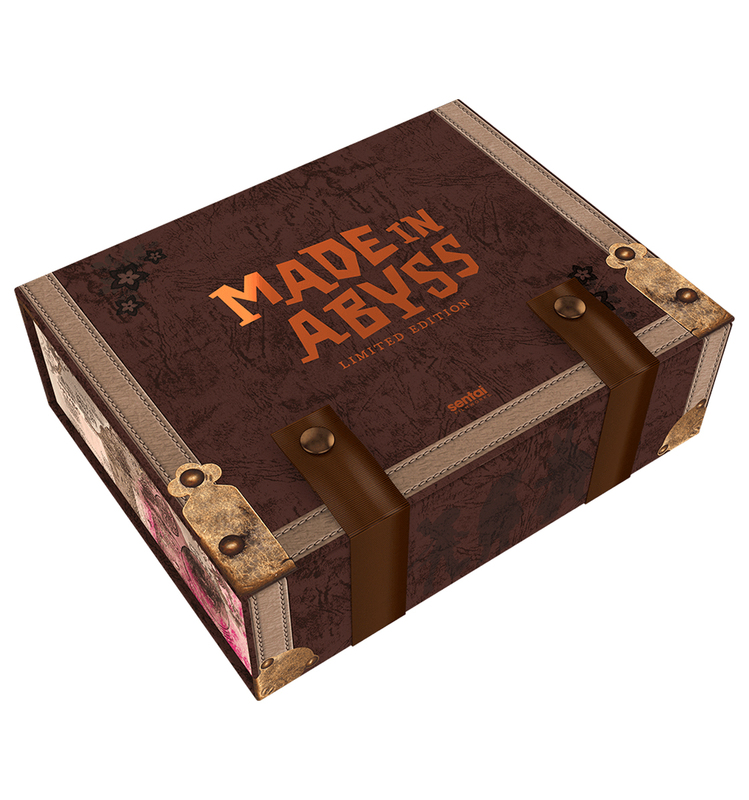 It's a premium box set, so the price increase is expected. It's geared towards collectors, rather than the average watcher. If the price bothers you, the regular edition will suit you just fine. Those of you who like to collect anime, this set is a beautiful addition to any collection. 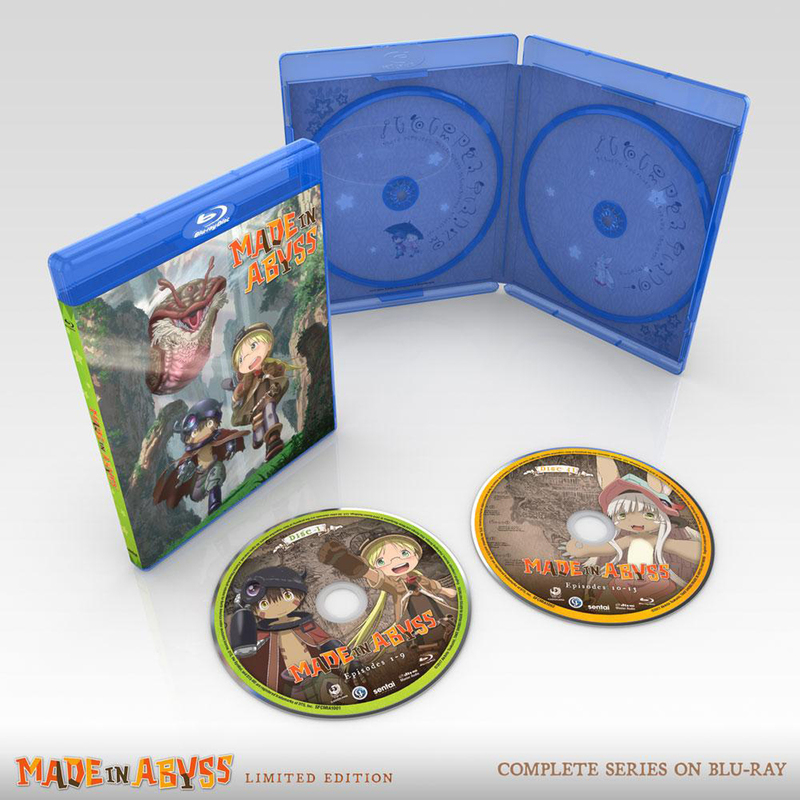 Made in Abyss is a fantastic entry in the recently reborn fantasy adventure genre. Its cutesy character art contrasts palpably with its jaw-dropping environments and fearsome beasts and belies its astounding narrative capacity for emotional depth, spiritual strength, and physical brutality. 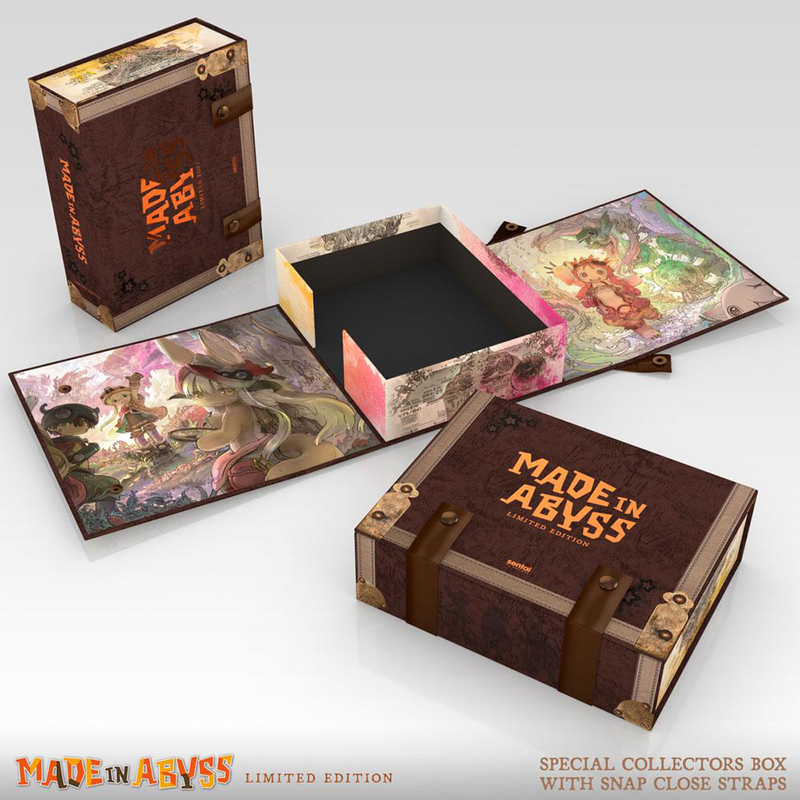 At a glance, this box set looks great. The box itself is quite stylish, and the inner art is gorgeous as well. 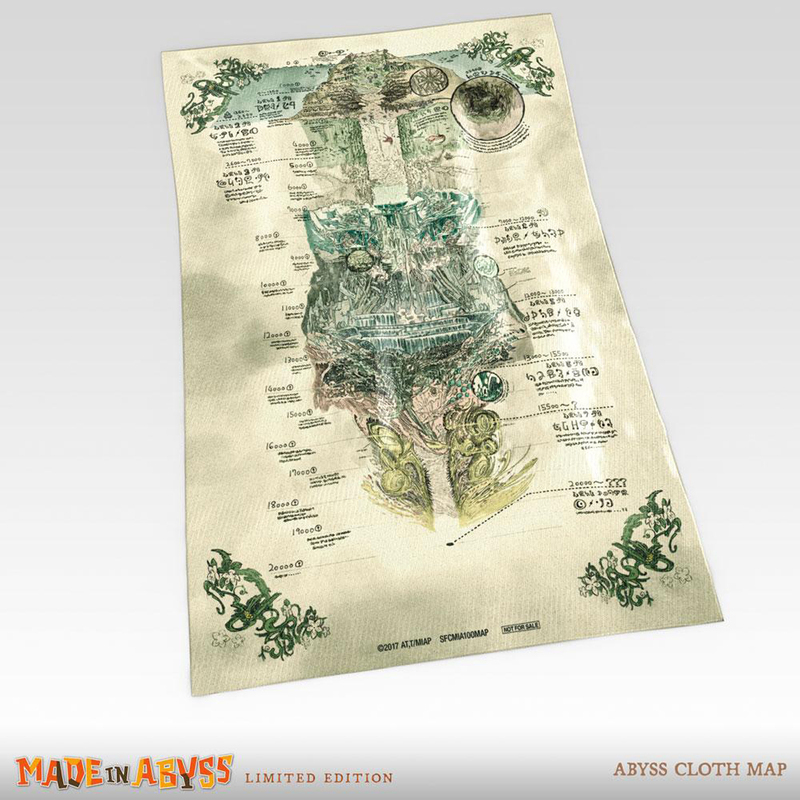 However, the physical extras (the standee, the lanyard, the "cloth" map, and the booklet) all seem very cheaply made. The low detail on the map was a big let-down, but most disappointing was the content of the booklet, which is mostly screenshots and summaries of content already in the show, instead of supplemental material or commentary. Having recently purchased Sentai's Flip Flappers box set, which had an amazing booklet, I was baffled by the stark drop in quality of both content and production. 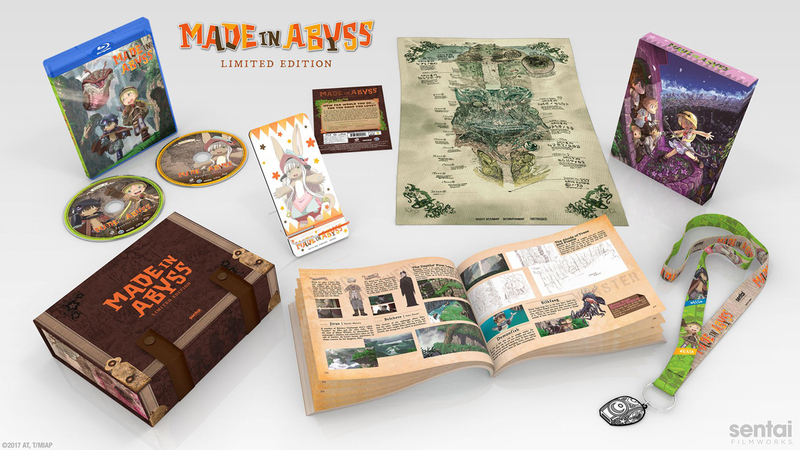 Made in Abyss is worth owning, but this set is only for the most die-hard of collectors. For me, the price was well worth paying. 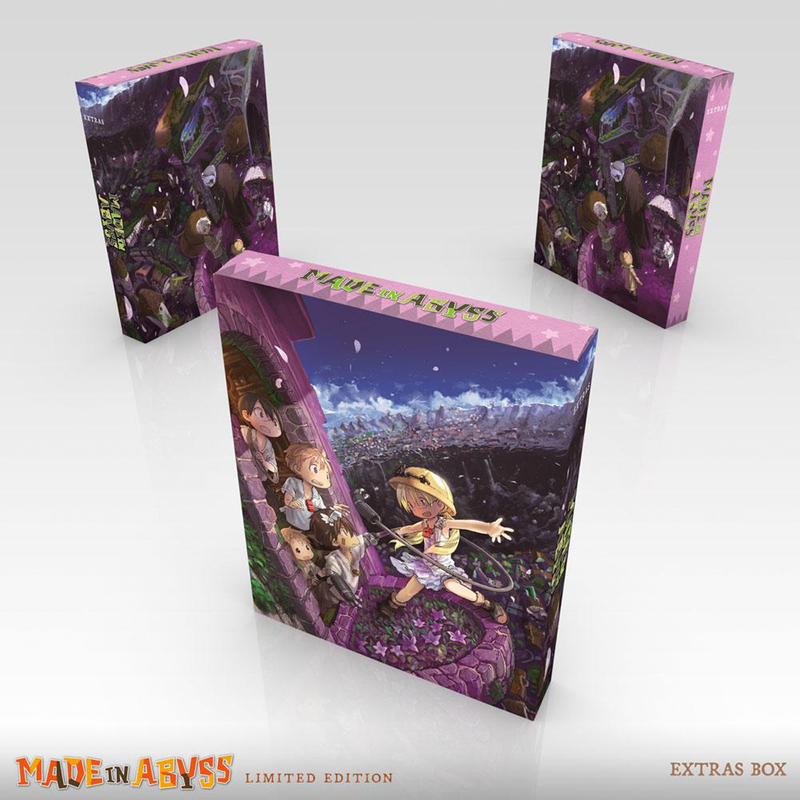 It's a collector's item which I think can only fill the needs of invested Made in Abyss collectors. As it's been stated in previous reviews, the quality of the props that come with the box is really low for that price, and the booklet is only interesting for the interviews. However, this shines as a display item, as the box itself is pretty well made and high quality. It also shows, when open, a really well made drawing of the crew. If you are not that into this series, I recommend another Blue-Ray edition, but if you really like it, I encourage you to go for it! I barely buy anime and I only buy anime if I would rewatch it. And this series is rewatchable! This series is really amazing. The story, art, and animation is spectacular in every way. I highly suggest you watch and buy this series. But not the box set...here’s why. I am a collector and again, I only buy anime that I love and adore. When I buy these anime, I also want the collectors editions or limited ones. But this is kind of not worth it, if you’re trying to save money. The box comes with a nice box, a few extras and a small book and it’s for the cost of $200 or $150 depending on the price. It’s not worth it. I would suggest that you’d buy the limited edition for at least $70 but not over $100. I suggest that you’d get this if you’re only a collector and buy the standard edition if you’re a standard fan. Great for buyers and lovers of the anime. 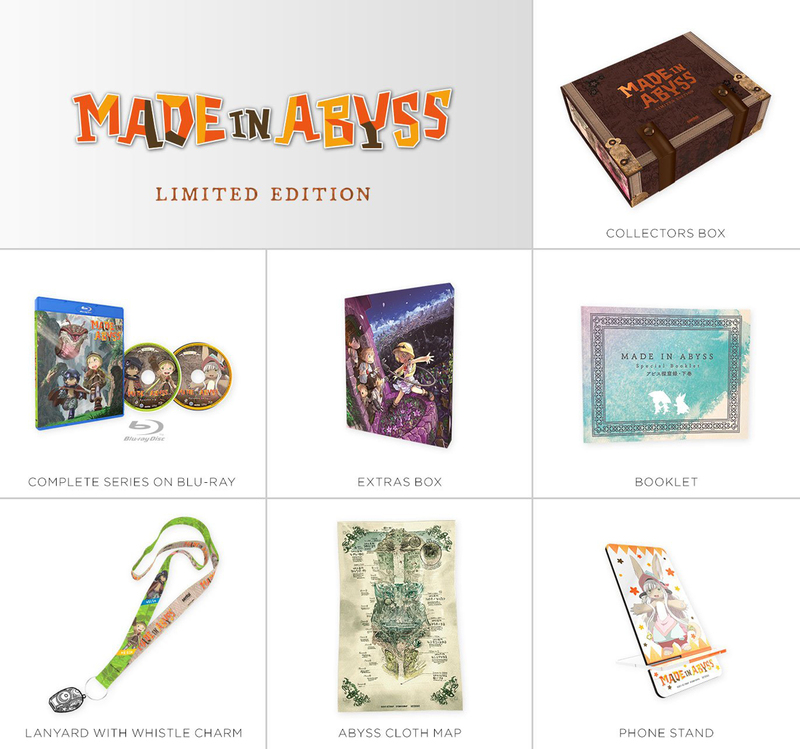 This set is great for collectors and love for the anime, as for regular buyers I would stick with just buying the Blu-ray as the additions to the premium boxset is not worth the extra cash. as for the anime though it is worth the watch.